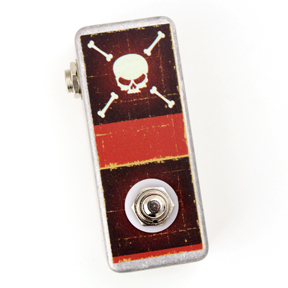 The Normal Close Skull Tap is a momentary footswitch that is set to be normally closed. This tap tempo would work well with Boss RC Loop Stations. The enclosure is a sturdy aluminum enclosure. Components are high quality Switchcraft or Neutrik jacks. Everything is hand assembled and soldered.